My1login Raises $1.6m to Tackle Business Market with Password Security Solution,Virtual strategy magazine, 26 june 2013. 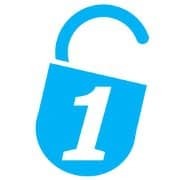 My1login Raises Further $500K To Help Businesses Get Security-Savvy With Its Cloud-Based Password Manager, Tools for black hats, 24 june 2013. My1login Raises Further $500K To Help Businesses Get Security-Savvy With Its Cloud-Based Password Manager, Tech crunch, 24 june 2013. Don’t get caught by the Phisher-men, Business Matters, 12 June 2013. Don’t get caught by the Phisher-men, Your Security Advisor, 11 June 2013. Online Password Management with M1login, Help Net Security, 29 May 2013. The Cloud: Single Sign-on killer or this year’s security fad?, Cloud Pro, 26 April 2013. Three threats to your company Twitter profile – and how to avoid them, Smallbusiness, 16 April 2013. 10 tips for secure development, Net Magazine, 7 February 2013. How to protect your business and its data, Smarta, February 2013. Unsecured wifi: big trouble for small business, BM Magazine, 11 December 2012. Scottish tech firm my1login wins place at START technology event, Business7, 11 October 2012. Free password ‘strength tester’ goes live, Netimperative, 7 September 2012. Find out just how weak your passwords are with my1login’s test page, The Next Web, 3 September 2012. Grants available to Scottish businesses, SmallBusiness.co.uk, 22 August 2012. How to create strong passwords, PC Retail, 16 August 2012.
my1login makes password fun & social to encourage secure login behaviour, Yahoo News, 9 August 2012. Cloudbased password manager my1login wants to gamify more passwords, TechCrunch, 9 August 2012. Password hacking will continue to escalate following recent attacks, The Wall, 24 July 2012. Yahoo ‘taking immediate action’ as hackers dump 450k passwords online, Computing, 12 July 2o12. Password management moves into the mainstream, Business Computing World, 28 June 2012.
my1login review, PC Mag, 24 June 2012.
my1login debuts password protection service, netimperative, 22 June 2012.
my1login seeks cash for password protection, Scotland on Sunday, 17 June 2012. Password management tools to go mainstream within 12 months, PCR Online, 12 June 2012. Online hacking password victims were asking for it, Ingenious Britain, 11 June 2012.
my1login shortlisted for a ScotlandIS digital technology award, ScotlandIS, 29 May 2012. That’s the way the cookie crumbles, Fresh Business Thinking, 29 May 2012.